A beautiful roof not only makes one’s home more attractive but also functional. Often new roof installation is needed when there is a leakage above. However, people contact efficient roofing services to improve one’s home’s exterior. One has to seek professionals roofing contractors for the effective solutions roofing needs. Along with the installation process, Beneficial Roofing contractors at Memphis, TN also help a homeowner to choose a durable and maintenance free material for longer sustainability of the roof. What are the roof installation services? The simple procedure by which a beneficial roofing service adds a new roof to an old home is known as Roofing installation. The process is done for both in the old buildings as well as new structures. However, the most significant factor in determining for if a roof needs a new installation is the condition of a house. They are a large variety of materials that one can choose for their new roof. However, discussing with beneficial roofing company can guide you in making the best choice. Also, we provide services in both commercial and residential properties. Be it residential aspects like house structure and garage or commercial aspects like warehouse roofs, and we are experts in all type of roofing services. Moreover, we have a team with necessary expertise, experience & skills, so that the job is done perfect and in a cost effective way. Slate is a compound material used for upscale home’s roof. This material has a natural look and is fire resistant and easy of maintain.Ceramic roofing tiles are highly impervious and can last from fifty to seventy years. Slates and tiles both are available in a myriad of styles and colors. Metal roofs have swiftly become highly viable as a roof installation as metal shingles are environmentally friendly, low maintenance, and also of light weight. Preservation of this material is easy during winters as it resists the buildup of ice and water. However, installation of this type can be complicated, and one good hire an excellent roofing services company for the work. Flat roofs often need regular maintenance by cleaning the leaves and other debris to clog the housing surface. The material is relatively less expensive than the other materials but has minor durability. However, they are safer roof installations than the slanted ones. 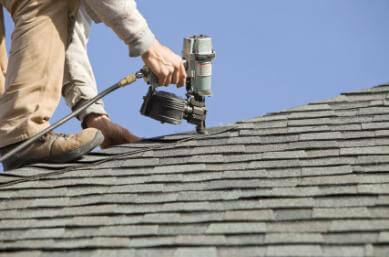 BUR is the type of roofing that has gravel roofing and hot-tar. This kind of roof consists of plies of waterproof materials, ballasted gravel, and hot tar. Though the material is bit smelly, messy and also heavy, it is a cheap material and therefore can keep the budget in check. This kind of roof installation material has ethylene propylene diene monomer or pure rubber. This long lasting material is engineered to resist damage from sunlight. This material can be attached through ballasted in stone, fasteners, or simply glued. call us at Beneficial Roofing and we can help you with any roof services you want. also, we will make sure to give you the best services in the market today.